Enigmatic and intriguing, welcome to Ireland at its mystical wildest. Park Hotel Kenmare delivers the traditional spirit in one luxurious package. Make the Victorian haven your home away from home from the 24th to the 27th, where you’ll be pampered with a full Irish breakfast every morning and a candlelit dinner every evening. There’s plenty to do to make your Christmas holidays special: take to the misty countryside with the Kenmare Walking Club, hit the hills with a sleigh ride, or show off your skills ice skating. When you want to wind down, get a Christmas pampering at the hotel’s Deluxe Destination Spa and end the night cosying up by the fire or boogying to live music in the drawing room. When was the last time you stayed in a real Welsh castle for Christmas? 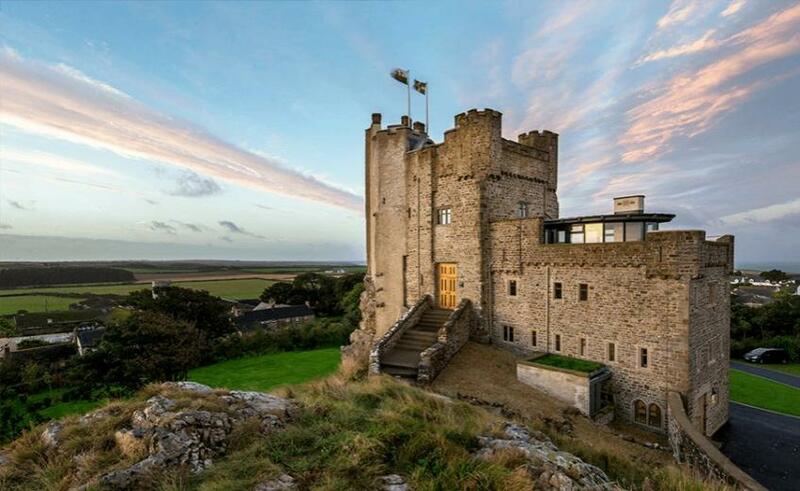 Roch Castle raises the bar for five-star festive luxury. You’ll feel like royalty swooning and indulging in the 12th-century hotel’s restful and revitalising yuletide atmosphere. The surroundings are truly dramatic, with panoramic views of Pembrokeshire and empty beaches just a stone’s throw away for crisp winter walks. Roch Castle’s sister property will provide an unforgettable Christmas feast: a four-course Christmas Day lunch from the award-winning two-Rosette Blas restaurant Twr y Felin, within Wales’ first contemporary art hotel. Expect champagne receptions, delectable breakfasts, mulled wine, mince pies and carols galore – it’s like stepping straight into a Christmas movie. Anywhere can throw up a few fairy lights and call it a Christmas holidays stay. But when you travel to Hayfield Manor, all senses are smattered – the Cork-based hideaway pulls out all the stops to create a festive extravaganza. There’s seasonally themed afternoon tea, warm mulled wine with carols from the local choir, and hot port with mince pies in front of an open fire. Christmas Day begins with the historical hotel’s famous Irish breakfast, followed by a cosy morning in the resident lounge and a champagne toast… all before a button-loosening traditional Christmas lunch. Santa Claus himself even makes an appearance for the younger guests, with a delightful gift for each. Round off an unforgettable day with a delicious buffet supper, relaxing round the fire to the sweet lullaby of a classical piano. Poland has charming Christmas customs and one of the loveliest is Christmas Eve dinner. It begins as the first star appears in the sky, which is around 5pm in December. Polish families round up and feast on 12 dishes, each representing one of the 12 apostles. 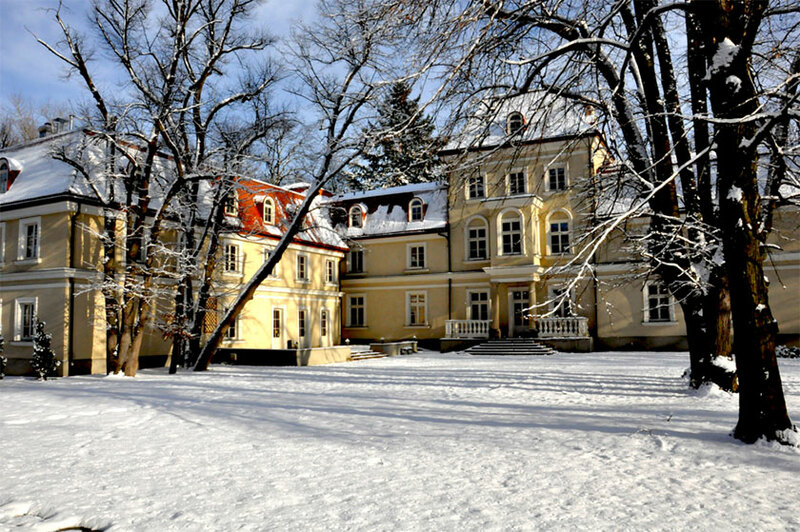 Comprising mainly of fish, it’s a traditional and tasty experience and one deep in the roots of Sierakow Manor. 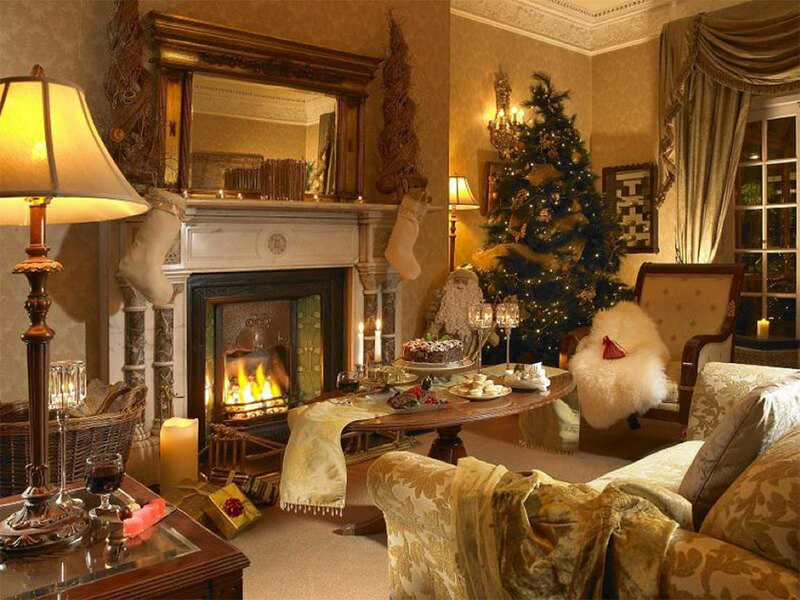 Christmas Eve dinner at the 19th-century retreat lasts around three hours, before guests are gathered round the piano to sing carols and await the arrival of Father Christmas with presents. Those staying at the manor for Christmas Day can feast upon an elegant lunch in the hotel’s award-winning restaurant: choose from meat, fish or vegetarian dishes (the most traditional choice is goose). Don’t miss out on another old Polish winter tradition: kulig. 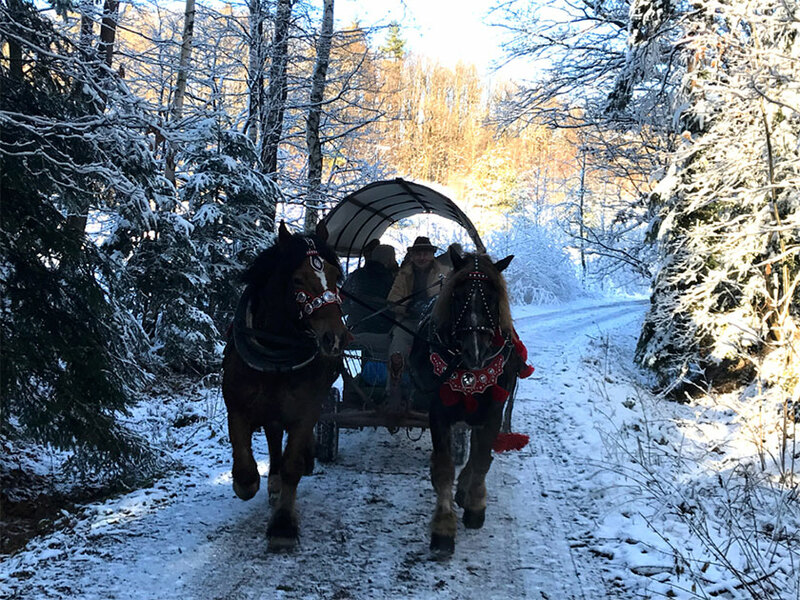 It’s a horse-drawn sleigh ride through the forest and your hosts will even treat you to bonfire-roasted sausages and mulled wine during the experience.